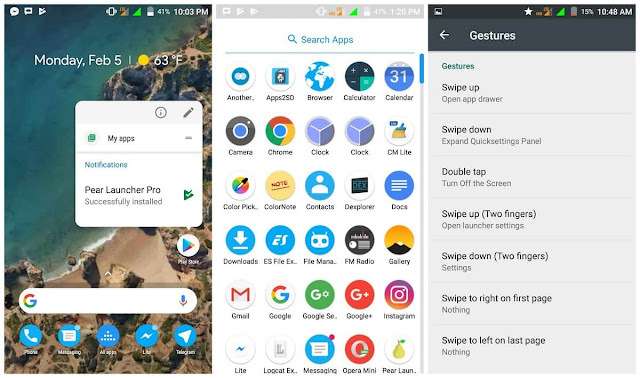 Pear Launcher is designed to be a Simple, Fast, Light Launcher, including Google Pixel launcher experience. Pear Launcher offers smooth, unique and customized man-machine interactive operation experience. Customisable desktop. choose your indicators style, grid size, icon labels customization, lock desktop, top shadow, scroll wallpaper and margin. Choose your drawer style (vertical, paged, sections). Swipe up actions for shortcuts. 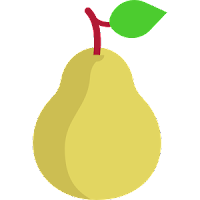 Google now integration with Pear now companion. Drawer Customisations Card background grid size, sort mode(alphabetical or install time), show search bar, predicted apps, accent color ,direct scroll , Pull dock to open and much more. Find thousands of icon packs for Pear Launcher on the Play Store.